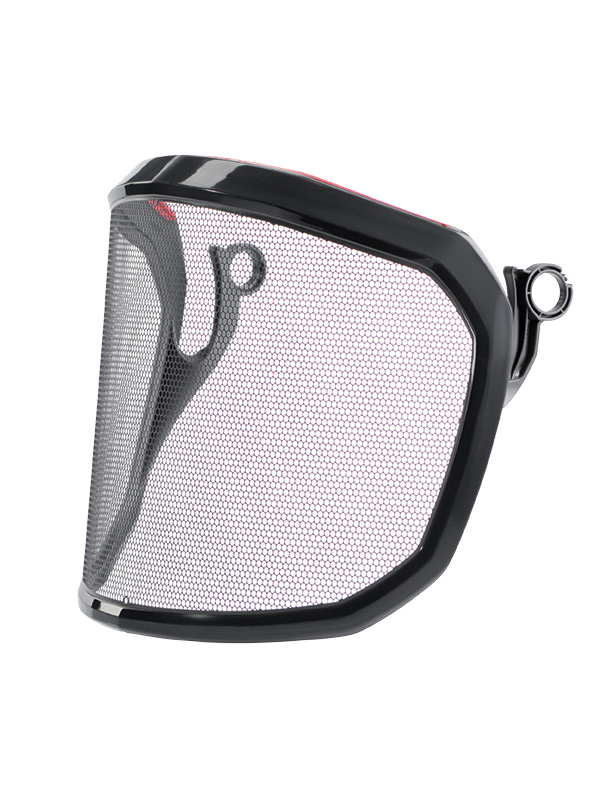 204064 PROTOS®Visor Mesh G16 Openings/cm2. 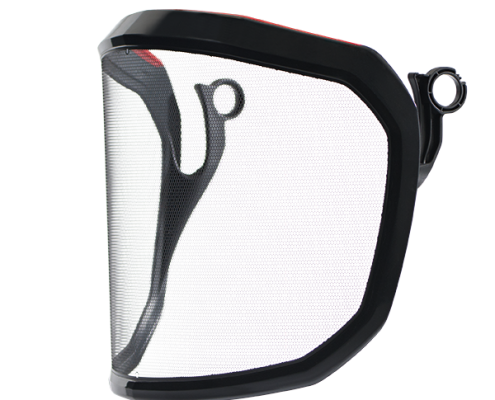 The etch metal visor for the PROTOS® Integral fits precisely on the head protection. Through this fit, there are no protruding parts or cavities, in which branches and debris can get caught. 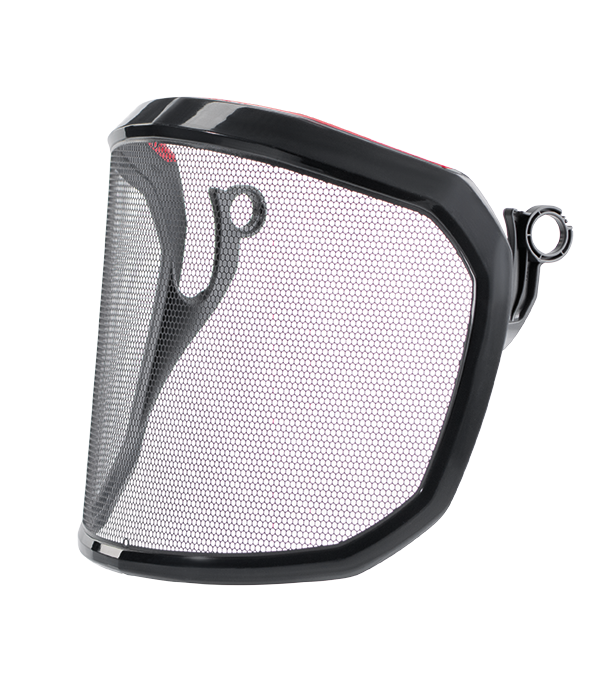 Facial protection visor with 16/39 openings/cm2. 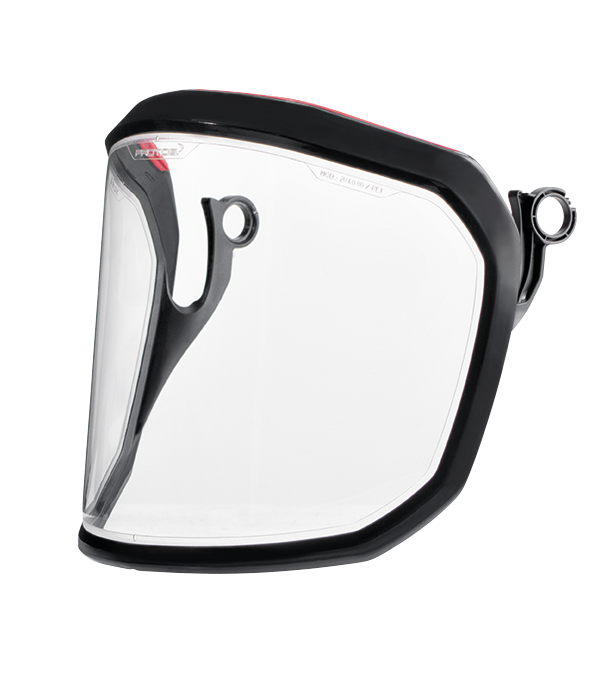 Thanks to its special coating, sunlight reflection as well as the visor freezing temperatures below zero are prevented. 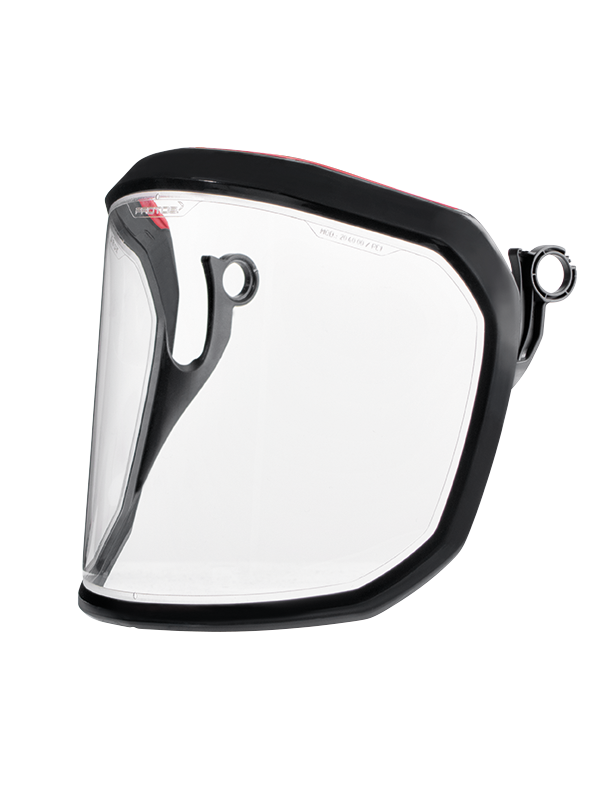 The PROTOS® Integral Clear Visor is an extremely lightweight polycarbonate visor. 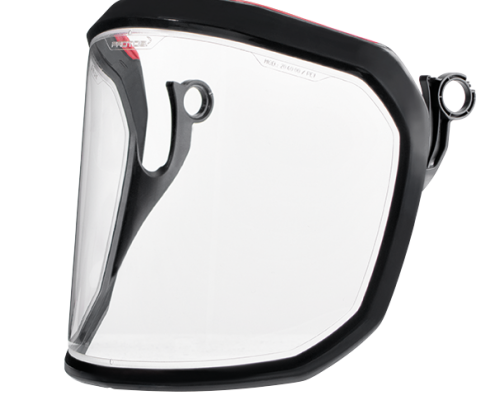 The patented rubber edge on top of the visor prevents liquids, dust and rain from penetrating from above, and lets them drain away on the left or right side of the visor. 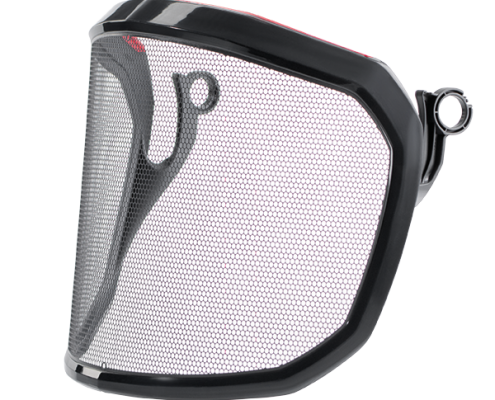 Furthermore, the PROTOS® Integral Clear Visor is fully operational even in extreme temperatures from -5° to +55° C, allowing an all-year use. 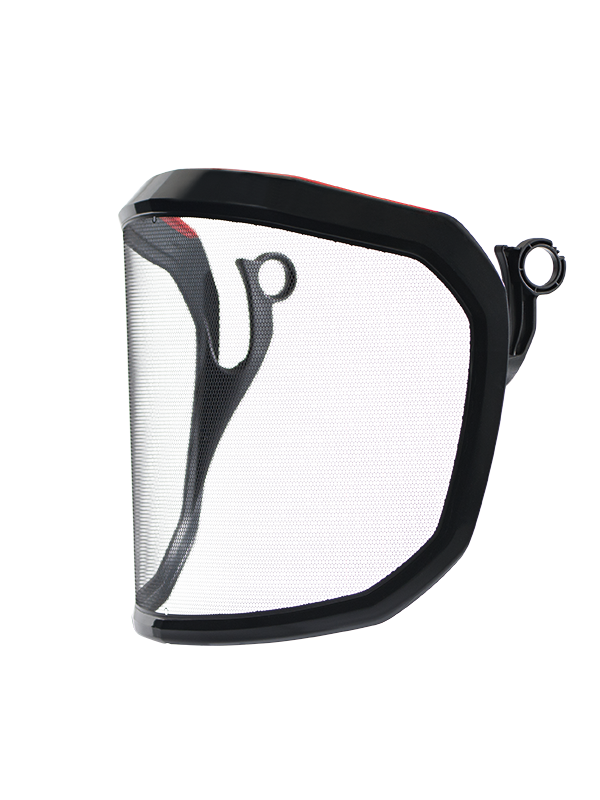 The polycarbonate visor is tested and approved according to EN 166:2002 protection class 1FT and offers a UV protection filter.